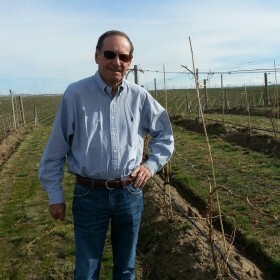 Gary has been a director of Sandpiper Farms, the site of Canoe Ridge Vineyard, since 1972. He was a founding partner of Canoe Ridge Vineyard in 1988. The first vines were planted in 1989. In 1990, Canoe Ridge Vineyard formed a partnership with the Chalone Wine Group and Gary was on the oversight committee, overseeing vineyard operations. The vineyard merged with the winery in 1993 and he became a director of Canoe Ridge Vineyards Winery. In 2002, Gary joined Annette and Amber in forming Bergevin Lane Vineyards.